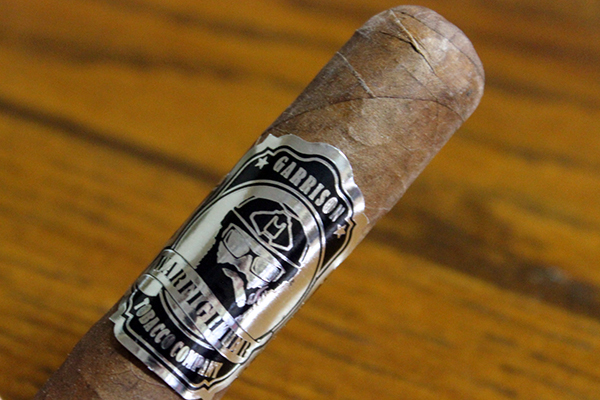 At the show, Warfighter Cigars were kind enough to present me samples of their craft and one of those is the subject of today’s review, the Garrison 7.62 MM Double Corona. 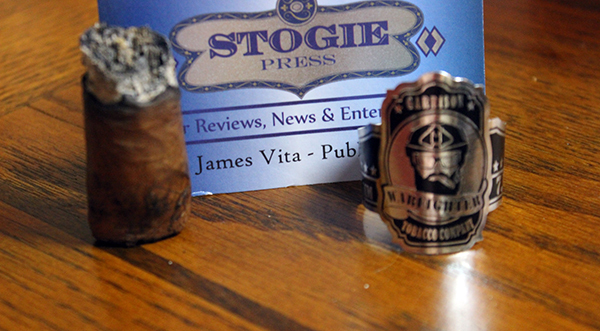 I will have more reviews of the Warfighter Cigar line soon. 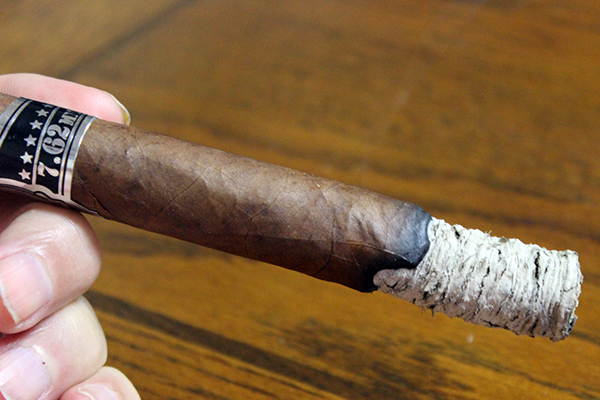 As noted, for this review I sampled the Warfighter Cigars Garrison 7.62 MM Double Corona. The Warfighter 7.62 mm Garrison Double Corona is a satiny, medium brown cigar that has a few veins and bumps along the barrel. It has a solid well packed feel and is finished with a simple cap. 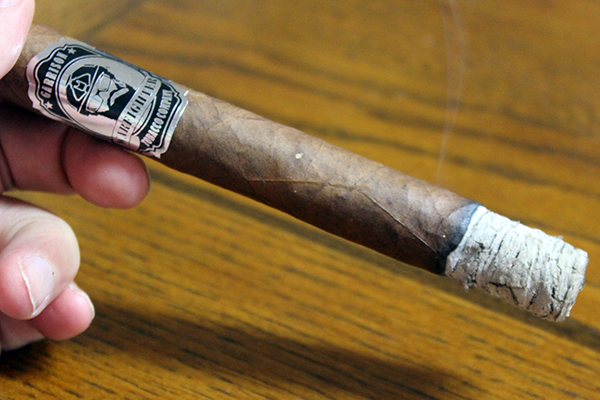 There is a single silver and black band that adorns the cigar with the company’s logo proudly displayed front and center and the word “GARRISON” on top. The side of the band identifies it as the 7.62 MM. 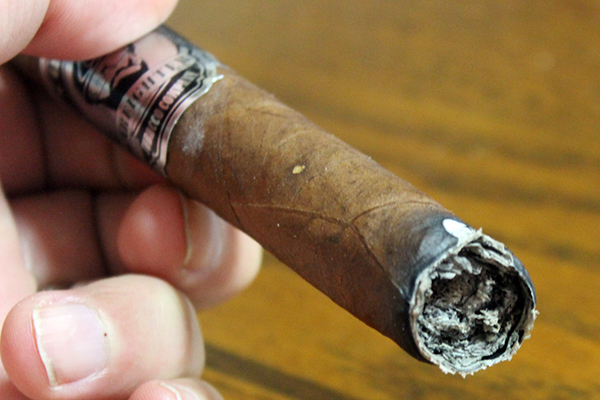 The barrel of this cigar has a sweet curing barn aroma to it and the foot exudes on notes of malt and fruit. As always, I sliced the cap with a straight cut and took some cold puffs. 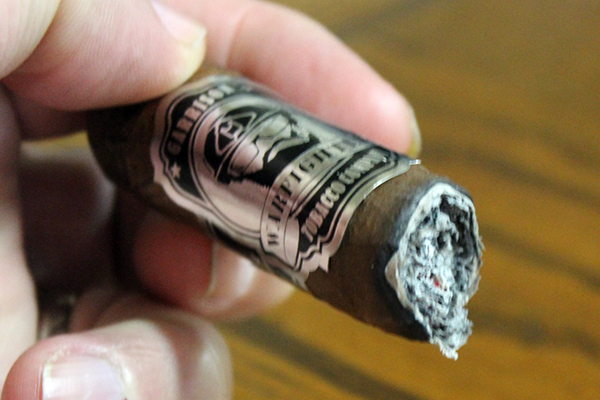 The draw on this long cigar was spot on and offered very enticing notes of fruit and cream. There was also a pepper note that lingered in the lips and eventually made to the palate warming the cheeks. With the battlefield assessment done it was time to take the rest of the march as I torched it with my triple flame lighter, igniting it to a warm even glow and took the first salvo of pepper laden puffs of smoke. 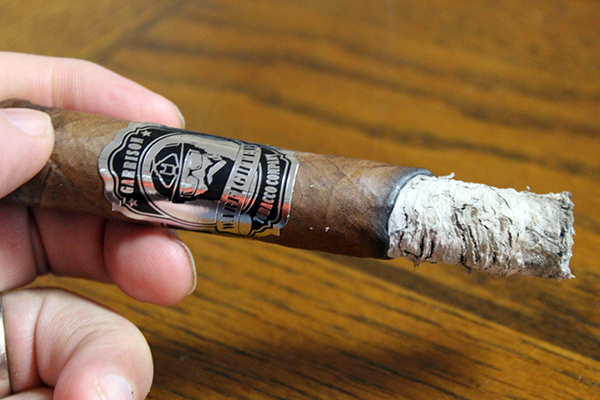 Overall, the Warfighter Garrison 7.62 MM Double Corona was a complex palate pleasing cigar. 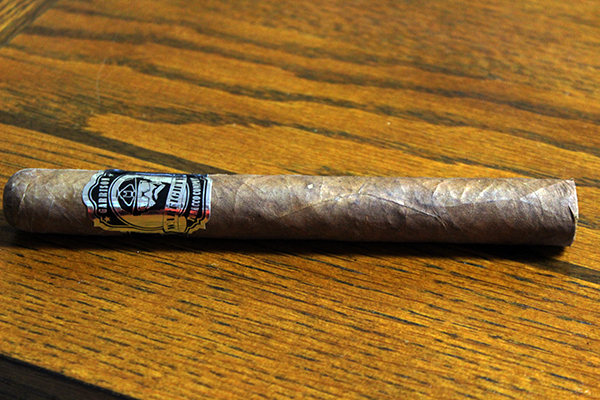 The shifts and changes in the flavors and aroma profile would keep any cigar enthusiast interested, as it did to me. The construction was pretty decent, although it did develop a inward tunnel effect in the first third. Once I touched it up the cigar behaved decently to the finish. 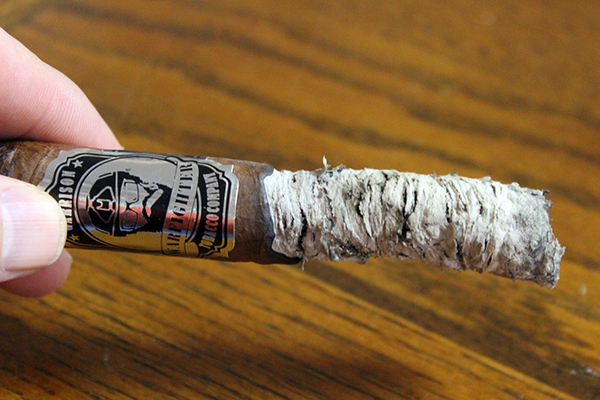 I would also call out the long ash in the second run of the ash burn which garnishes this cigar a bonus point. I rate this a 91. In closing, I would like to thank the whole team from Warfighter Cigars for their service to our country and the tremendous sacrifice that have offered. 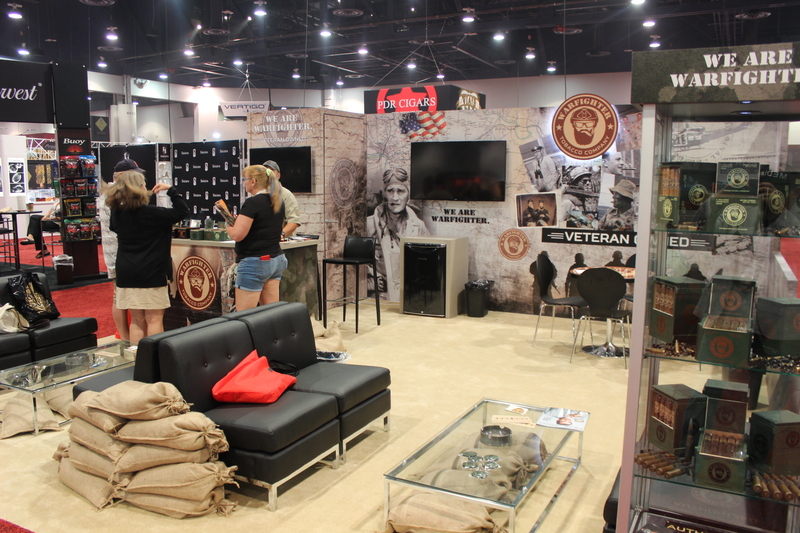 This entry was posted in Cigar Review, Warfighter Cigars and tagged cigar review, Warfighter Cigars, Warfighter Cigars Garrison 7.62 MM Double Corona. Bookmark the permalink. 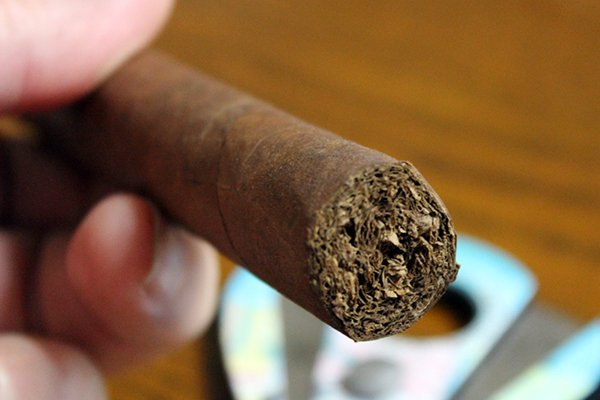 ← Cigar 101:﻿ What’s the deal with cigar shop etiquette?